Hickory Lane residents in Mount Gilead appreciated the efforts of their neighbor, Steve Hart. 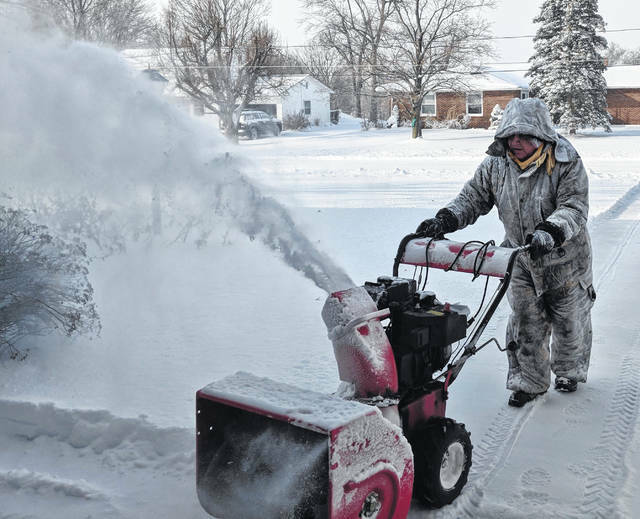 He’s shown Sunday morning with his snowblower, cleaning off the first of several driveways he cleared on the street. Temperature on Hickory Lane registered -16 degrees Monday morning. North central Ohio residents got a double whammy this weekend, with 8-12 inches of snow falling depending on location, Saturday. That was followed by temperatures dipping below zero on Monday morning throughout the region.